Quirky Jessi: High heeled flippers? I don't think so. 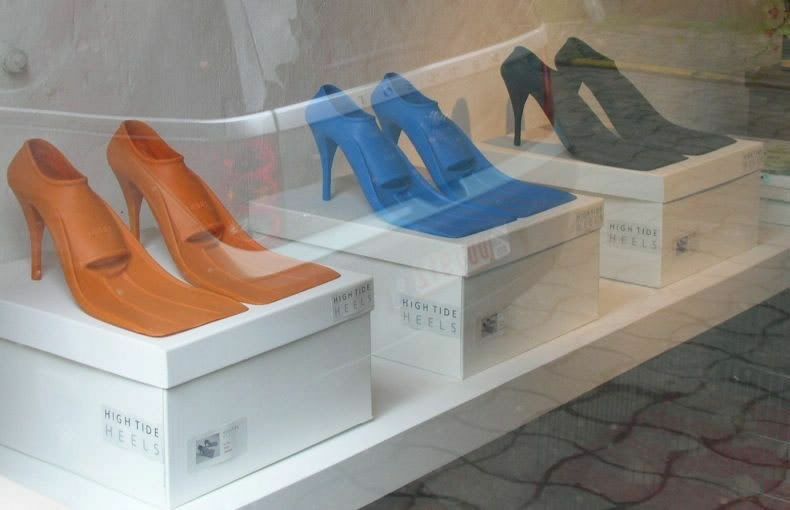 High heeled flippers? I don't think so. Okay, I'm not even going to pretend to come up with some great excuse to wear these. There is absolutely no reason anyone should ever own a pair of these!! so you'll feel taller while swimming?? We went snorkeling yesterday, and I can't even begin to imagine why anyone would wear these. That is strange and weird. It might be the basis for a good story though. My DH says this is "So you can feel *sassy* while swimming" And I think it's so you can show off your "kicking calves" while snorkeling, you know heels pump up those calves!